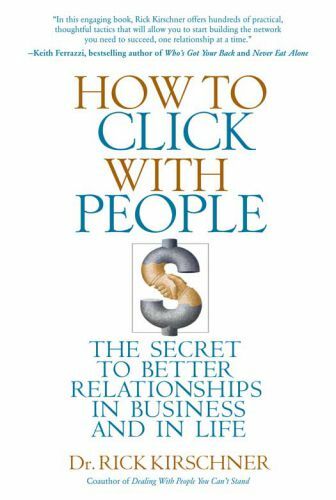 Brief Summary: Use a variety of techniques to “click” with people. Blending is the most comprehensive and powerful of these techniques. I found the first four chapters to be the most helpful. Blending – do things to bring yourself closer to the person you’re interacting with. Both verbal and nonverbal. Chapter 2: Clickability- What Is It and Who Has It? Live with passion; energy draws. Responsibility = the ability to respond adequately and wisely to a situation, rather than just reacting to it. The greatest leverage in life is your response to what the moment brings. 1. They love to hear themselves talk. 2. They want to be heard and understood. 3. They are drawn to people who listen to them. Ask for relevance between any two things. Listen for content AND emotion. Match to communication style to click. Motivations come from either desires or fears. Look for values that are always on display. Seek congruence with values. We all are the same, the more general you get. We’re all different the more in-depth you look. Go as general as necessary to find congruence. Try to let people play a part in developing your idea. In the wake of rejection, stop and go back (start over). “Feelings happen, but thought requires energy.” (Todd’s note: Resonates with Thinking, Fast and Slow) Aim for using a combination of logic and emotion. Getting people to click with your ideas isn’t about convincing them, It’s about helping them convince themselves. 2. Identify a positive common goal. 5. Keep people in the loop.